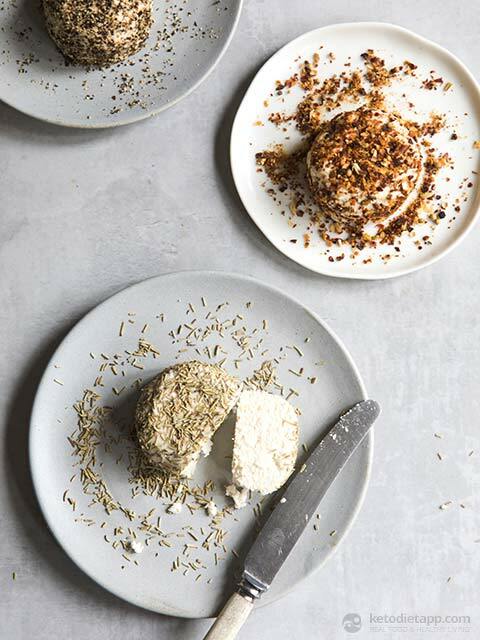 These probiotic Macadamia cheeses are a delicious vegan alternative to cheese. What’s more they’re packed full of gut friendly probiotics to help keep your digestive system happy and healthy. 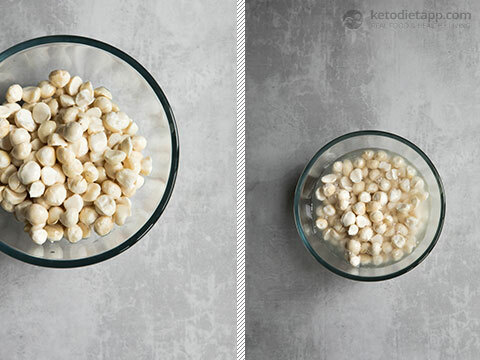 I like to use macadamia over cashew nuts because not only are they lower in carbs but macadamia nuts are one of the few food sources that contain palmitoleic acid (a type of monounsaturated fatty acid that can actually help speed up your metabolism, helping you to burn more calories and lose fat). Macadamia nuts also naturally curb hunger so you only need a little of this cheese to satisfy your cravings. Whist Macadamia nuts are high in fat, 80% of this is heart healthy monounsaturated fat and much needed anti-inflammatory omega 3. Remember guys, fat should not be feared. On a low carb diet you need fats for energy. 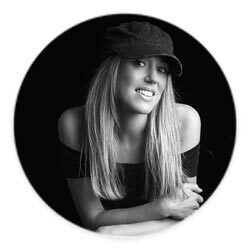 .This recipe is inspired by Carla Oats thebeautychef. Soak the macadamia nuts in water overnight (enough to cover them). Rinse and then drain the macadamia nuts. 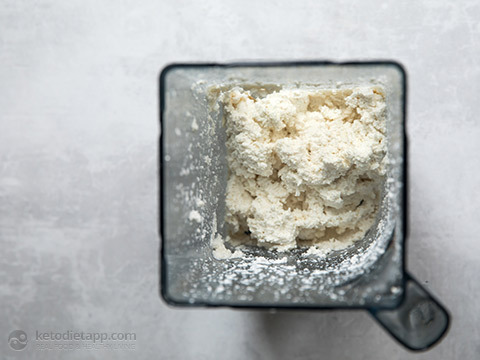 Place the macadamia nuts, warm water and probiotics in a food processor or a blender, and blitz until smooth. Spoon into a glass bowl and cover with a muslin cloth. Secure the rim with pegs. Leave to culture in a warm spot (not direct sunlight) for 2 days. After 2 days, add the nutritional yeast, salt, lemon juice, lemon zest and garlic powder. Mix well. 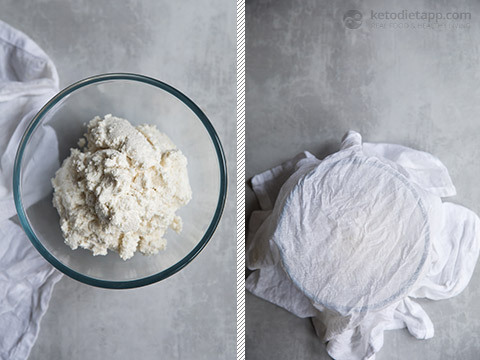 Place the macadamia mix into the muslin cloth and squeeze out the excess water. Tie up with a piece of string and leave suspended over a bowl for 6 hours to drain and firm. Line 4 loose bottom mini cake tins with cling film. Spoon in the mix and level. 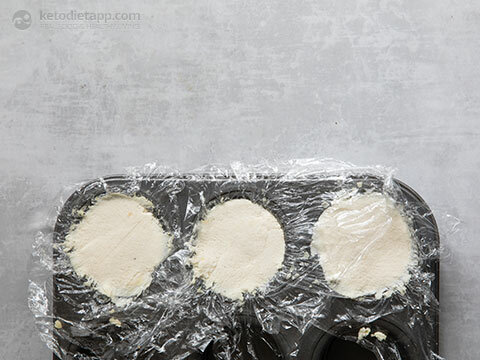 Refrigerate for 4 hours, up to 2 days until the desired firmness of cheese is achieved (4 hours for a softer cheese, or a day for a firmer cheese). 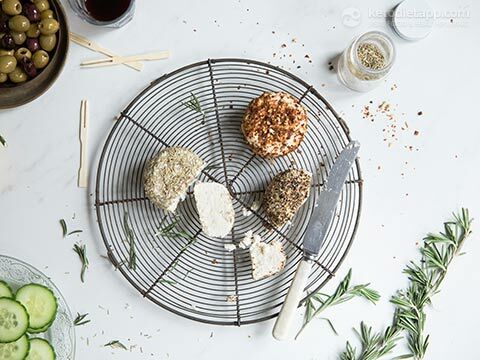 Remove the macadamia vegan nut cheeses from the tins and cling film and roll in chilli flakes, chopped fresh chives, black pepper or dried rosemary. Serve with a drizzle of olive oil, keto crackers or fresh vegetable crudités. Store in fridge, wrapped in cling film for up to 3 days. 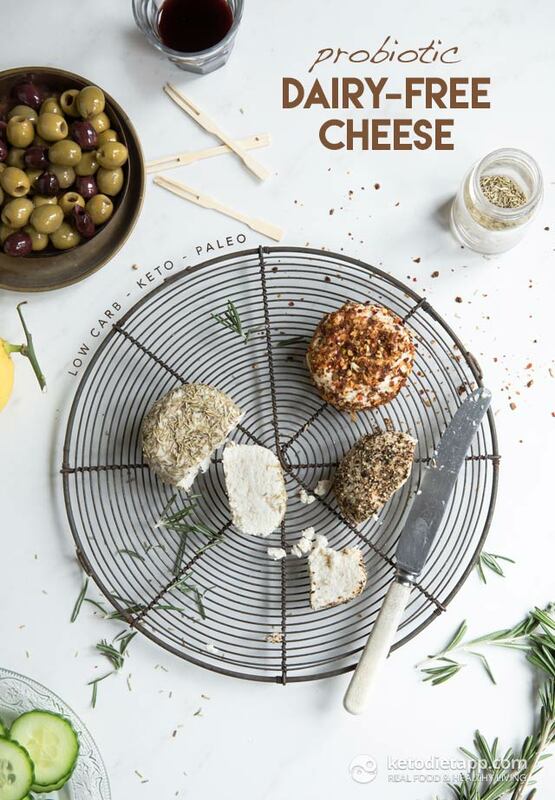 GREAT RECIPE!, COULD I USE A DIFFERENT NUT LIKE WALNUTS OR PUMPKIN SEEDS, I'M TRYING TO EAT HEALTHY, EVEN THINKING OF GOING DAIRY FREE, IT'S GOING TO BE HARD, I REALLY LOVE CHEESE. I suppose you could but I haven't tried it. I hope others could comment? I am allergic to nuts but can eat peanuts and pistachios, can this cheese made by either? Hi Safaa, I don't think these are good alternatives. Pistachios are relatively high in carbs and both pistachios and peanuts have a strong flavour. If you don't mind that you could give it a try but I assume the taste may be wrong. Ideally you need neutral tasting ingredients. I would give sunflower seeds or hemp seeds a try if you can eat them (soaked just like the macadamias).